There’s a natural tendency to want to leap right into a workout. After all, who isn’t pressed for time? But failing to take the proper steps before each training session can sabotage your results, if not lead to injury and long-term ailments. 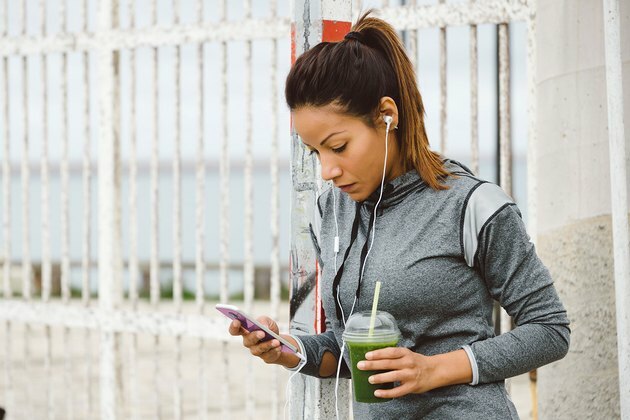 By planning ahead and warming up properly, you’ll have a more effective workout, be less susceptible to injury, and produce the results you desire. Here are four quick steps you can take to do just that. Many people arrive at the gym without being fueled for their workouts. Whether you train first thing in the morning, worry about getting queasy while training or subscribe to the misguided notion that training on an empty stomach burns more fat, you are doing yourself a disservice by not filling your gas tank prior to a workout. If you train just after waking up – the only time many of us have to work out – chances are you’ve gone as long as 12 hours without eating. Your body is starved and unlikely to perform its best. A pre-workout meal will give you much-needed energy and stamina. Plus it drives metabolism by contributing to protein synthesis, the process in which cells build and manufacture proteins. To boost strength, increase lean mass and burn fat aim for a pre-workout meal of lean protein and slow-acting carbs such as brown rice, oatmeal or sweet potatoes. If your workout takes place just minutes after waking up, making even modest meal preparation impossible, try a workout shooter. Mix a scoop of whey protein with a glass of watered down orange juice to break your fast and provide the nutrients needed for your morning training. There’s a reason many pro athletes have deep tissue specialists work on them before games and practices. Such treatment breaks up knots in tissue, improves muscle quality, and increases mobility. Most of us don’t have access to such experts, but thankfully we can get an effective "poor man’s massage" in the form of one of those long, foam tubes that likely are sitting in the corner at your gym gathering dust. After just 10 minutes on a foam roller you will feel more limber and be able to perform exercises more effectively. A simple way to foam roll is by starting from the bottom and working your way up. Sit on the floor with your legs straight out and the foam roller under one of your calves. Using medium pressure guide your body over the foam roller so it works it’s way over your calf muscles 6 to 8 times. Then switch over to the other calf. 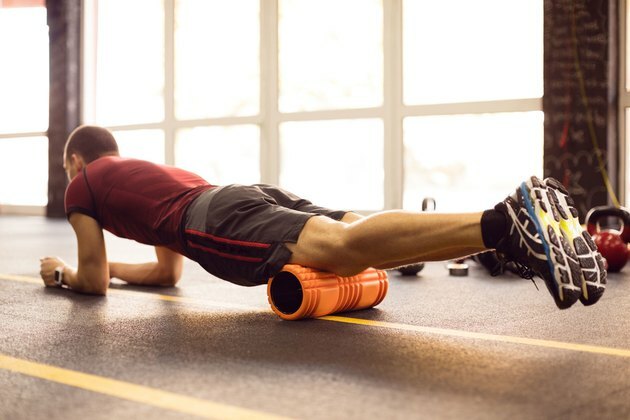 If you find an especially tense area, hold the foam roller there until the tension dissipates. Use this same technique on your hamstrings, glutes, middle and upper back, lats, quads and chest. Do not foam roll over joints (like the back of your knees) or your lumbar spine (lower back), which can put you at risk for injury. There’s nothing wrong with static stretching, those traditional stretch-and-hold movements we did for 30 seconds apiece in high school gym class. But just as a warm rubber band stretches more easily than a cold one, we’ll save static stretching for after our workout. Prior to training, we’re going to focus on dynamic mobility, full body movements where the stretch is held for only one to two seconds in each position. Recent research has shown that those who engaged in dynamic warm-ups produce greater long-term gains in mobility and flexibility, along with strength, than those who do static stretching or skip the warm-up altogether. You either can develop a dynamic mobility routine to do before every training session or pick movements that work on the muscles that you will train that day. Either way, including 5 to 10 minutes of dynamic mobility work will elevate your heart rate and prime your muscles for the workout ahead. Effective dynamic movements to include before you train are the Elbow-to-Instep stretch, which fires up the glutes, hamstrings, calves and ankles, a Scapular Wall Slide for your scapulae and shoulders, and a Side-Lying Extension-Rotation for thoracic spine mobility (see links at the end of this article for video demonstrations of each). 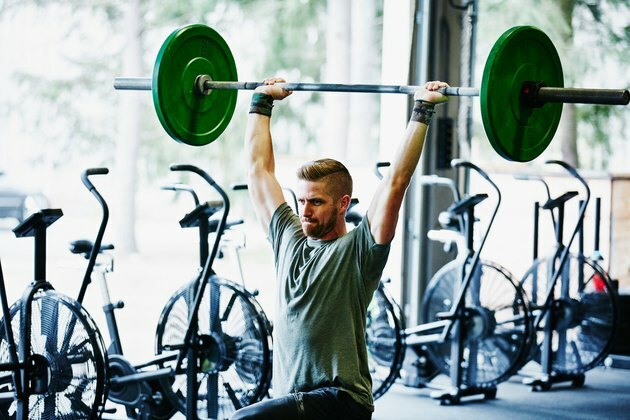 Performing warm-up sets at 40 to 70 percent of your one-rep max for each of the major lifts you plan to do is an effective way to prevent injury, prime the nervous system and improve performance during your “work” sets. If, for instance, your two big lifts of the day are the front squat and the bench press, you should perform two to three warm-up sets for each movement in the same range of repetitions that you are going to use during the workout. So if you are planning to front squat 185 pounds for 6 reps, begin with a set of 8 at 95 pounds, then a set of 6 at 135 and finally a set of 4 at 160. This will provide the proper balance of being primed for your work sets without being fatigued by performing too many warm-ups. A rule of thumb is the closer to your max you are attempting to lift, the more warm-up sets you should do.